Some of the most serious personal injury cases involve a bicycle. Typically, this is because a bicycle accident often involves being struck by a car. When a bicycle accident involves a car, personal injury damages can be quite high. Additionally, bicyclists often enjoy some the most active lifestyles. When hit by a car take away your ability to do the things you love, the damages and personal injury claim can be significant. A bicycle accident lawyer can help you seek out proper treatment and care and built the case slowly, as you recover. By helping you organize your medical bills and records, wage loss records, and cataloging your recovery progress, a skilled bicycle injury lawyer can best help your case. Your bicycle injury may take a long time to heal. You might not recover the same level of health that you enjoyed before the accident. In either possibility, a Vancouver WA personal injury attorney specializing in bicycle injury claims can help organize your claim so he can effectively work with the insurance adjusters to offer the maximum settlement on your injury claim. If someone else injured you while you were cycling, call today to schedule a free no-obligations consultation. We can help explain your options and our services. We can take your case at no cost upfront. We can arrange for a contingency fee, which means we only get paid a percentage of the total personal injury award. Getting started will cost you nothing. If you are still too injured to come to our downtown Vancouver WA office, Roger Priest can travel to meet with you. House calls are one the things that separate us from the competition. Were you injured outside of Clark County, Washington? No problem. We can consult on cases across Washington state. No personal injury case is too far. Most bicycle accident lawyer cases will be in metropolitan areas, but we can help no matter where. Do you have a good bicycle injury claim? If you were injured in a bicycle accident, one major thing to consider is who was at fault? 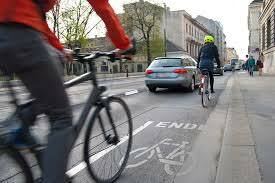 The laws regarding bicycles and traffic dictate the rules of the road. Simply being injured doesn’t mean a personal injury attorney can help you. If you were liable for the accident, you may not be entitled to a recovery. If you are unsure, call us today and talk to a bicycle accident lawyer. We would be happy to discuss your case and let you know whether you have a strong personal injury claim. Even if you are partially at fault, call us to discuss your case. You may be entitled to personal injury compensation.